Same subcompacts improperly repaired in 2010, maker admits. 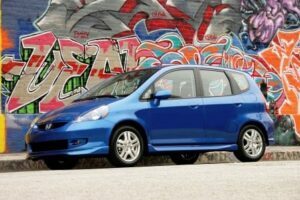 The 2007-2008 Honda Fit's master power window switch can short and even catch fire if it gets wet. Honda has become the latest automaker to order a recall due to the risk of potential vehicle fires – a problem linked to a defective power window switch that has led to major recalls at several competitors including Toyota and General Motors. Embarrassingly, it is the second time Honda has had to repair the affected vehicles for the same problem. In fact, with the recall covering just 143,083 Honda Fit subcompacts sold in the U.S., the latest safety action is relatively modest when compared to the 2.5 million vehicles Toyota had to recall in the States for the problem last October. The latest action involves 2007 and 2008 model-year Honda subcompacts and is linked to a defective power window module that is vulnerable to rain or spilled liquids that might over time get in through the driver’s window. It is becoming increasingly common for manufacturers to announce large recalls because underlying components are frequently shared among a wide range of vehicles. And many suppliers sell the same, or nearly identical, components to more than one manufacturer. As a result, Toyota was forced to recall 7.4 million cars, trucks and crossovers last autumn to deal with the same power window switch issue, including 2.5 million sold in the States. It was the Japanese giant’s largest recall ever. General Motors has also had to order major recalls covering a wide range of products due to the switch problem, including one recall announced earlier this month involving 250,000 Chevrolet Trailblazers and GMC Envoy SUVs. A defective airbag system produced by a single supplier, Takata, similarly led to a major recall by a wide range of Asian and Western makers earlier this year. 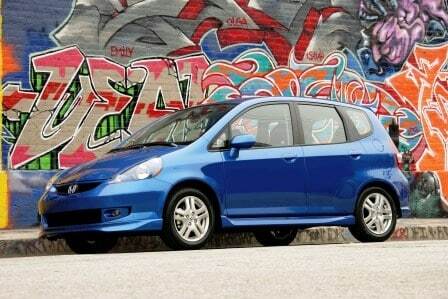 But the Honda recall is a problem for the maker at a variety of levels. It not only is ordering a re-do of previous work but could subject some owners to multiple additional visits to the repair shop. Compounding the situation, Honda has suffered a growing number of safety-related recalls in recent years, coming in as first or second in terms of the number of individual vehicles involved for each of the last four years. And this year it seems on track to lead the list again, having recalled nearly two million vehicles sold in the U.S. for problems including brake and airbag defects, as well as transmissions that can shift out of Park resulting in runaway vehicles. Nonetheless, the maker still landed in the Top 10 according to the latest J.D. Power Initial Quality Survey, a measure of problems experienced by owners during the first 90 days after purchase. But the maker lagged behind Toyota and, among mainstream brands, both Chevrolet and GMC – their parent General Motors topping the IQS list among individual manufacturers for the first time. This entry was posted on Friday, June 28th, 2013 at and is filed under Automobiles. You can follow any responses to this entry through the RSS 2.0 feed. Both comments and pings are currently closed.